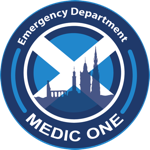 After a few days of settling in it was time for the Edinburgh EM team to get to work. In order to develop a potential partnership it was vital to meet the main stakeholders and seek out their opinions on what they wanted to gain from a collaboration. 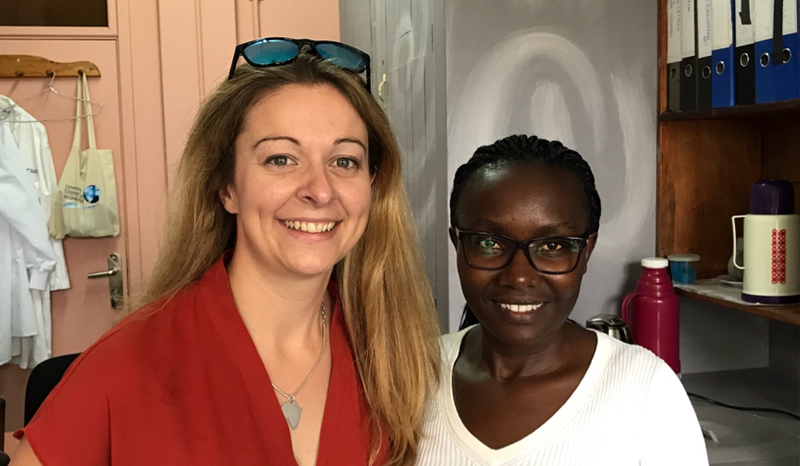 We were aware that what works for us in Edinburgh is not necessarily what would work best in Kampala for a variety of reasons, such as differences in patient groups, pathologies, resources and staffing levels to name a few. We couldn’t just copy and paste our system into Makerere and Mulago – we needed them to lead the change and tell us how we might support them. We met with Dr Alex Bangirana, an orthopaedic surgeon who is the head of A&E at Mulago. Their department is staffed by 8 specialists (mainly orthopaedic and general surgeons as well as an anaesthetist) who supervise the 10 medical officers or ‘MOs’ who are post-internship doctors. They see around 100 patients per day of whom about 40 are admitted. Around 250 patients per month go to theatre for trauma or surgical emergencies. There is no computer system for logging patients which makes data collection difficult. Dr Alex describes the many challenges of daily work in A&E: ever-increasing patient load means demand often outweighs capacity, when the trolleys are full patients lie on the floor. They don’t have the facility to manage critically injured patients as well as they would like because space in ICU is limited (if there isn’t an ICU bed, then they can’t intubate a patient in A&E). There is also a large group of patients they call ‘the unknown’ who arrive in A&E after accidents but there are no relatives to confirm their identity. This group present challenges because the hospital CT scanner is currently broken and the only way to get a CT is if the patient pays for a private scan (either at the nearby cancer institute or at another private imaging centre). If the patient or relatives can’t pay then they can’t get a CT. Despite these many challenges staff morale is generally good in A&E. They are also motivated to improve and keen to learn. Dr Alex tells us “The A&E needs to be managed by an Emergency Physician”. Later that day we visit Kawempe Hospital, the obstetrics and gynaecology centre on the other side of Kampala. The students on the planned MMed in Emergency Medicine will rotate through O&G an must learn about emergency management of a variety of conditions. At Kawempe they perform around 80 normal deliveries a day and up to 45 Caesarean sections. An anaesthetist describes how overstretched they are, and unfortunately maternal deaths are much more common here than in the UK. A visit to the obstetric high dependency area is eye opening – there is a pregnant patient with severe heart failure due to sickle cell disease whose baby has died in utero. There are a number of patients with severe pre-eclampsia. There are only 2 theatres and sometimes patients with eclampsia can’t go straight to theatre because patients with uterine rupture or cord prolapse must take priority. The next day we are back at A&E for the ward round. We meet Sister Sarah who discusses the triage system. There is no emergency ambulance system here and no national emergency phone number. Patients generally arrive by themselves or are brought by relatives or the police. There is no pre-alert and so no time for staff to prepare. Patient details are taken and a nurse assesses them and assigns a category as shown below. Triage is based on the clinical experience of the nurse, they don’t check vital signs or use any triage scoring system. Patients are then seen by the MOs and later by the A&E senior doctors on the ward round. Today’s ward round is dominated by trauma patients, mainly from boda boda crashes or other road accidents. A patient in the resus area is unconscious after a head injury. He has an oropharyngeal airway in place and is having blood suctioned out of his airway. There is no facility to continuously monitor his vital signs and he can’t be intubated because there is no ICU bed. He is one of the ‘unknown’ so he hasn’t had a CT and the neurosurgeons won’t see him without one. So the doctors here just have to watch and wait. During the ward round a patient is carried in and put on the floor to wait for a trolley. Dr Alex tells us it’s quiet today because there aren’t many patients on the floor. We also visit the Intensive Care Unit and the Acute Paediatrics ward. On the 7-bedded ICU many of the patients are long stay head injury patients who are spontaneously breathing with tracheostomies. Their policy is to perform a tracheostomy after 7 days of being intubated. The doctors again describe the need to ‘delay intubation for as long as possible’ in the A&E because there are often no ICU beds. The acute paediatrics unit sees around 100 patients per day with the majority being infections – malaria, neonatal sepsis, gastroenteritis, pneumonia, meningitis. They also see a number of children with congenital cardiac disease. As we have seen in other parts of the hospital, there are lots of family members present who are often performing basic care such as bathing patients and even washing and drying their bedsheets. During our we visit we have meeting with the Dean, the Principal and Vice Principal of Makerere medical school. It becomes obvious that they see Westerners come and go frequently and although visitors may have the best intentions, there is sometimes little long term benefit for the staff or patients here. They mention researchers coming to collect data but not sharing the results with them, or overseas centres sending their trainees to Kampala to gain experience, but there being no reciprocal agreement for the doctors from Mulago. They are all keen for a partnership as they recognise the need for a Emergency Medicine here, but it must be sustainable and of mutual benefit. Before long it’s time to say goodbye to the staff at A&E, as well as Tonny and Susan. Everyone is keen for us to come back and we feel like we’ve met some wonderful people. They really care about their patients and they perform admirably in very difficult circumstances. But they want to do better and they recognise the need for change. They’ve seen the development of EM in other parts of the world and they want to bring it to Uganda to provide the best possible care for their patients. The long journey home gave us some time to reflect on what we had seen and learned. There’s still a lot of work to be done before we can move forward with a partnership but we’re all hopeful that we can help to bring good quality emergency care to the people of Uganda.